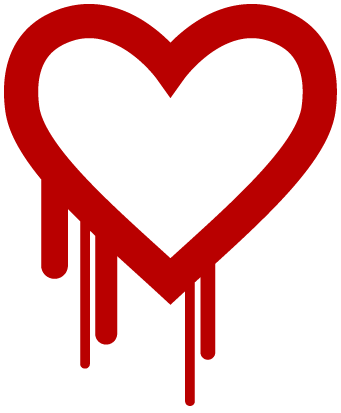 The Heartbleed bug is a vulnerability in the SSL/TLS encryption of OpenSSL, a standard in many websites where you see ‘the padlock symbol’. It affects millions of websites, including many of the websites you use such as: Yahoo, Facebook, and Google. What makes it difficult is you need to wait until the owners of each website – the IT administrators patch the website before you change your password. Failure to wait until a site is patched can mean you will need to change your password all over again and that the new password you just created is now compromised. Yes – As much as we would like to say no, this bug is actually kind of a big deal. You should be watching your inbox and changing your passwords as you become instructed to do so by each website. The majority of online banking is not affected, but there are some pretty critical sites that were. If you use the same password for everything you may wish to start changing your passwords everywhere. Once a hacker gets your login info for one site (example Facebook) they typically try other sites to see what else they can get into. For that reason you may wish to consider moving to a password manager such as Lastpass. This is a tool that manages all your passwords so you can have a unique secure password for every website, and use just one password to manage them all.